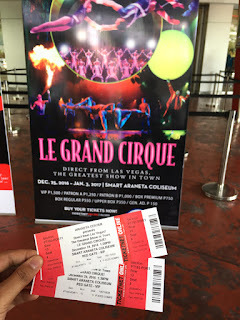 Being amidst a crowd of excited guests had me all the more elated to watch the much raved Le Grand Cirque -- Araneta Center's Christmas offering this December. It's not every day that you get invited to watch one of the greatest shows in town, one that's also produced direct from Las Vegas. I no longer had to travel abroad just to witness such a grandiose spectacle. Just imagine how much fun a circus show brings, especially to kids, as it gathers some of the most remarkable performers and amazing acts. There were plenty of 'ohhs' and 'ahhs', as breathtaking acts captivated the crowd. Le Grand Cirque, which is dubbed as the 'Next generation of Cirque du Soleil', opened its show with an impromptu act from a clown that amused everyone with his wit and charm. He made his guests laugh, cheer and clap, as the rest of the artists did their preps for the production. 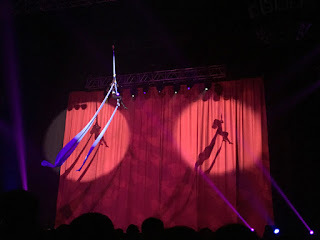 The spectacular show consisted of acrobats, contortionists, aerialists, jugglers, jumpers, and hoopers (amongst many others), who mostly defied gravity and showed phenomenal abilities. I definitely had my list favorites from these striking characters starting from the graceful, lady aerialists. The balancing acts and the fire dancer were also my top picks. 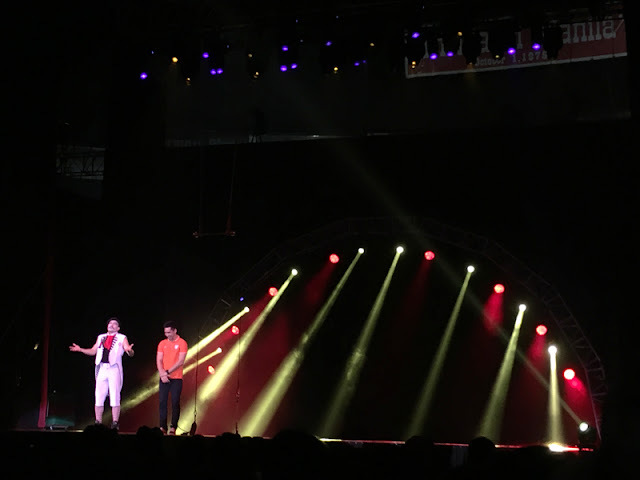 Truly, this large-scale production is a real family entertainment that both kids and the kids-at-heart will enjoy immensely. Le Grand Cirque is scheduled to run at Smart Araneta Coliseum from December 25, 2016 until January 3, 2017. You can buy your tickets now at www.ticketnet.com.ph or call (02) 911-5555. Tickets are priced from P150 to P1,500 each. Treat your family or your friends this holiday season with this live enterntainment! 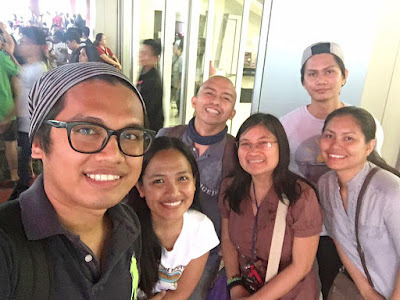 You'll surely enjoy every minute of it with them.